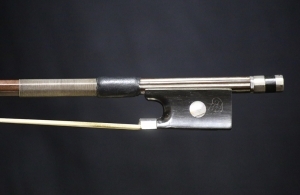 Description: One of the first to make bows in Germany was bow maker Christian Wilhelm Knopf (1767-1837), the pater familias of a large line of bow makers. As a brilliant master and the inventor of the metal eyelet for the frog, he continued the tradition of the European pioneers of bow makers. Many of his bows had intricate inlays of pearl in both the stick and the frog. 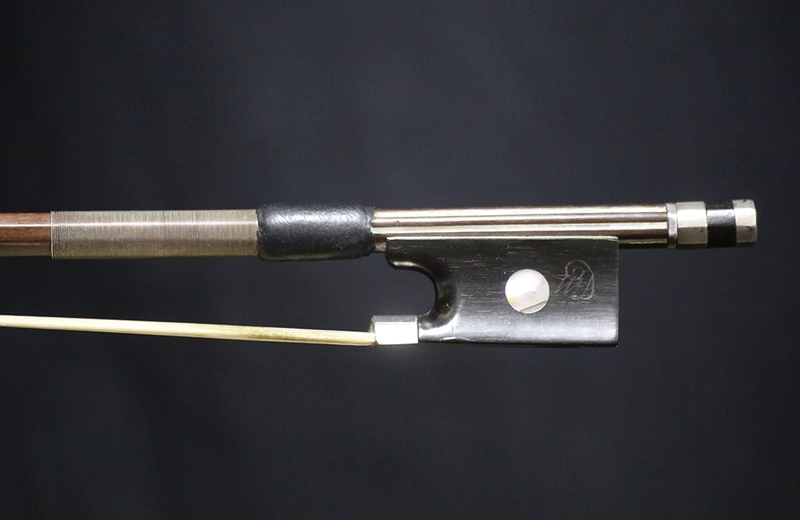 This particular bow stick has inlays of pearl running down the handle to the button. This stick is exceptionally long for a cello bow, measuring in at 71.4 cm. The German frog and button are later replacements. The stick is in very good condition and offers someone an excellent opportunity to purchase an early German masterwork at a reasonable cost. Certificate of authenticity by Isaac Salchow of New York, NY. 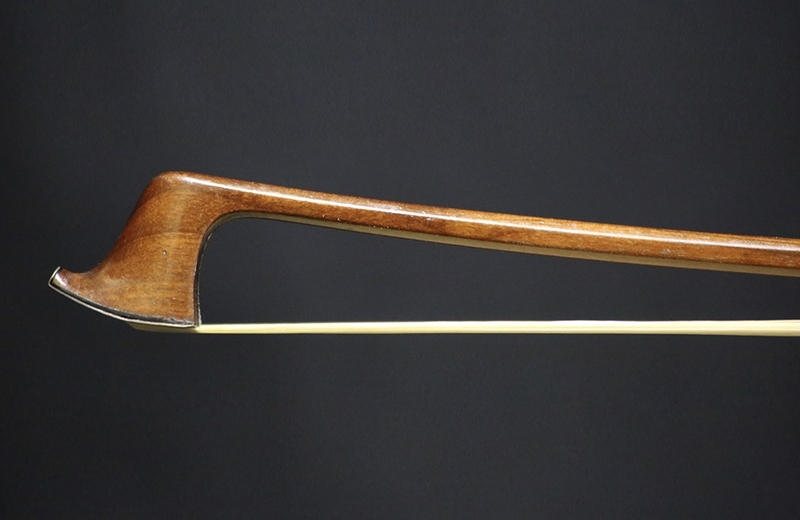 The bow is strong and produces as rich, clear tone. Weight: 82.5 grams.